What’s a farm without animals? 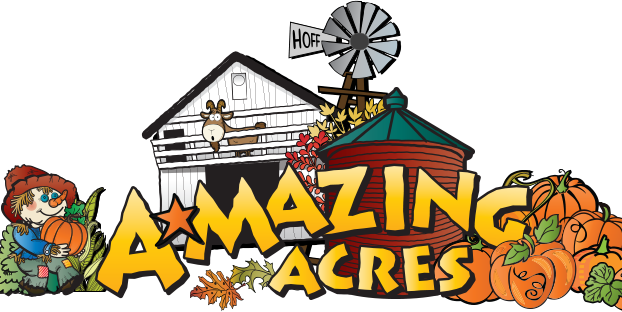 Well, don’t worry about the answer to that, because we have lots of friendly farm animals at A-Mazing Acres Farm. When you visit the barnyard, you are visiting their home and it’s very special to us! We have an adorable little village for the bunny rabbits who call BunnyVille home. It has tiny houses, stores and a bunny church where all the good little rabbits go on Sundays. Did you know: Rabbits can purr, just like cats do. Meet our lovely little calf, Annie Oakley. She is so excited to meet all our guests. Did you know: All Texas Longhorn cattle have horns.! Duck , Duck, No Goose! We have four young ducks here at Amazing Acres, the girls, and 1 boy have joined us. They are all Buff Orpington ducks. Such sweet birds. Messy kids but oh so entertaining. Did you know: Buff Orpington ducks lay between 150-220 eggs per year! Our chickens are just precious. We have Gentle Ben, he’s our Giant Langshan Rooster, Tiny Tony, a Banty rooster and Lucille, our beautiful black Jersey Giant. Ethel and Henrietta are Golden Laced Wyandotte hens. The three girls lay an egg for us every day. They work so very hard! We also have 4 young pullet hens just waiting for names. They love to sit in my lap and take naps. Hens are called pullets until they are 1 year old. Our girls lay various shades of brown eggs. Did you know: Some breeds of chickens lay colored eggs. They are called Easter Eggers! Goat Walks, why yes they do, walk that is, jump and play too. Our goats are dairy goats, of the Nubian breed. They have very large droopy ears. We also have Boer goats, which are primarily bred for meat. Our oldest goats on the farm are now 14 years old. Our youngest goats are just 10 months old. The babies are being trained to climb the goat walk. Our newest addition, Nigerian Dwaf goats. Say hello to Willie and Waylan! They sure love to play. All the goats would love to eat a special treat, available at the ticket office, the Miner’s Shack, near the Mining Sluice or in the canisters by each of their pens. Did you know: Male and female goats can both have beards.